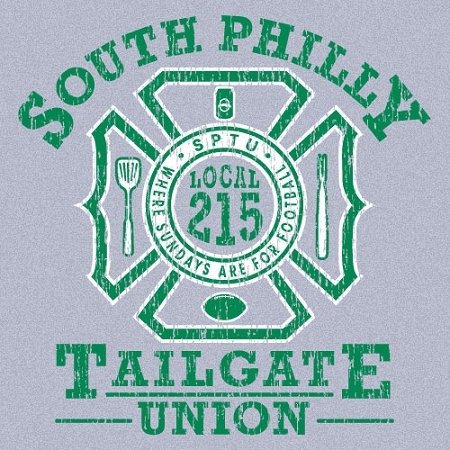 We the People of the tailgate lot, in order to form a more perfect Union, establish non-stick grill spray, insure domestic beer on ice, provide tongs for the common man, promote the steak medium rare, and secure the Blessings of CSC Event Staff to ourselves and our Posterity, do ordain and establish this Constitution for the South Philadelphia Tailgate Union. An ultra-soft, ultra-comfortable Flex Fleece unisex hoody from American Apparel. 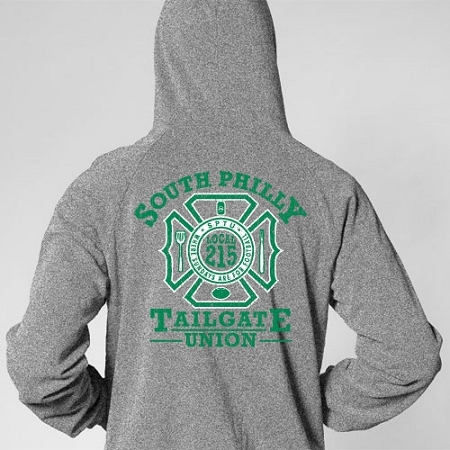 The Flex Fleece construction (50% Polyester /50% Cotton) is lightweight but keeps you comfortably warm for those Football Sundays. A Kangaroo pocket allows space for tickets, keys or whatever you need to get you through the tailgate. Metal zipper, white polyester drawcord.